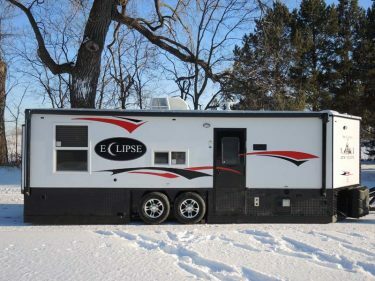 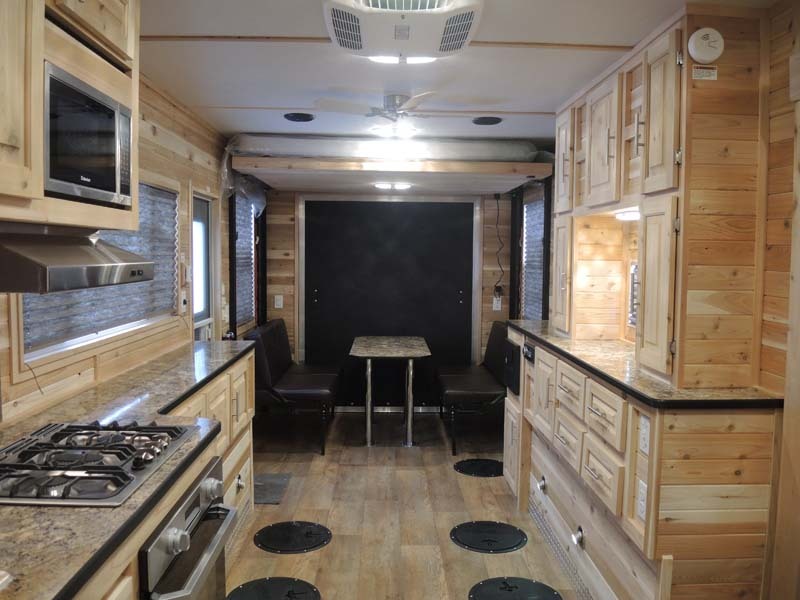 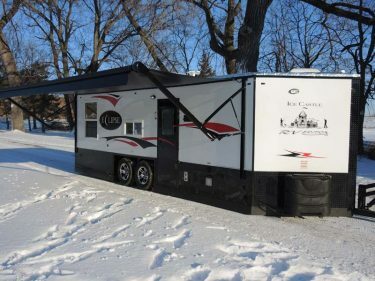 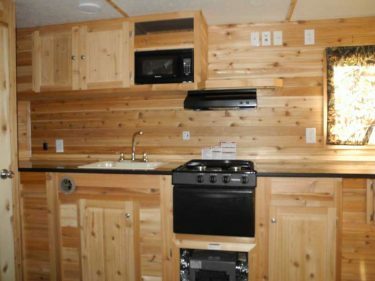 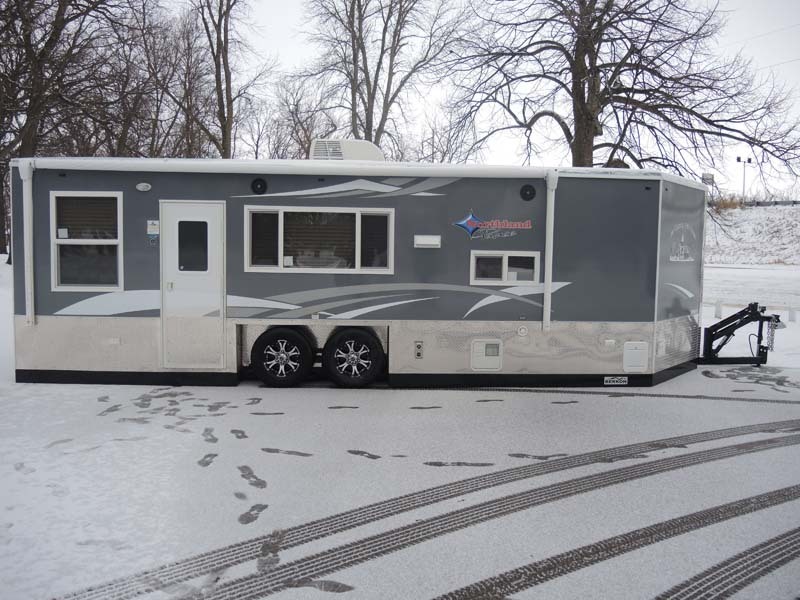 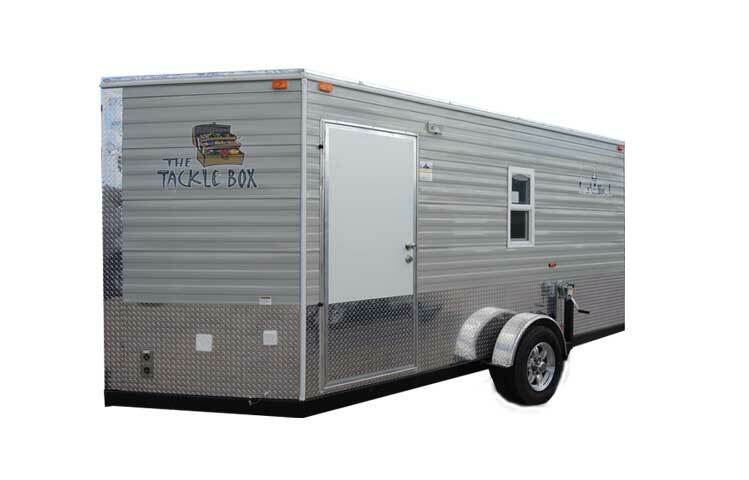 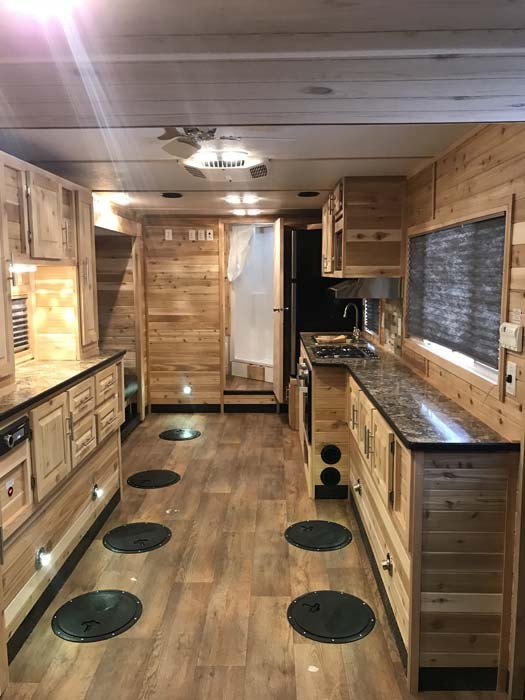 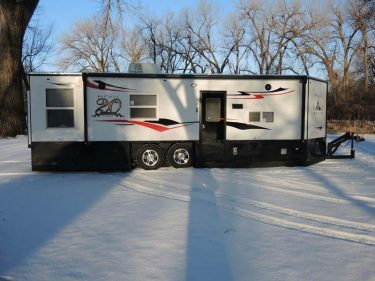 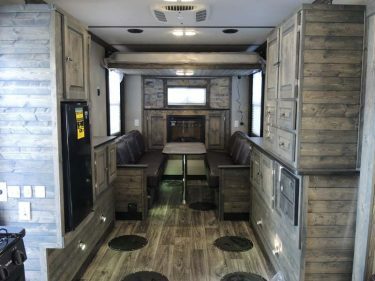 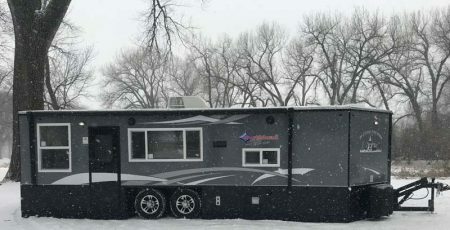 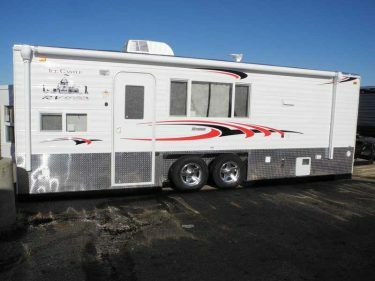 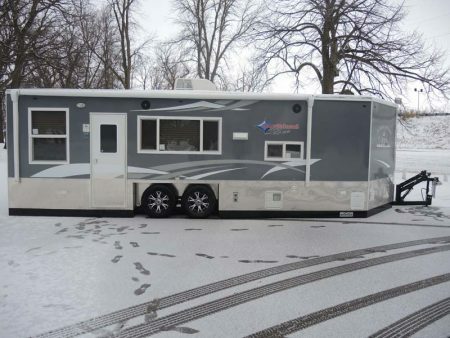 This Northland Palace Ice Castle Fish House RV Edition Toy Hauler (8′ x 24′), features 7 holes with lights, with 1 power slide-out in living area with 72″ Jack Knife sofa and two corner upper cabinets, two 48″ roll over couches, 60″ lift bed, 19′ exterior lighted power awning and more (7,920 lbs. 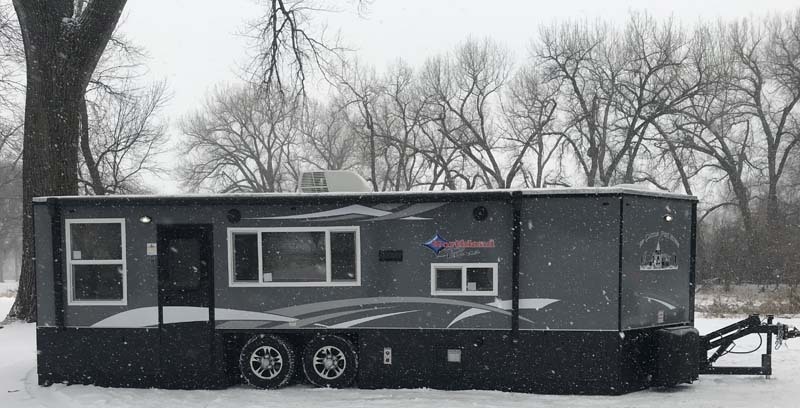 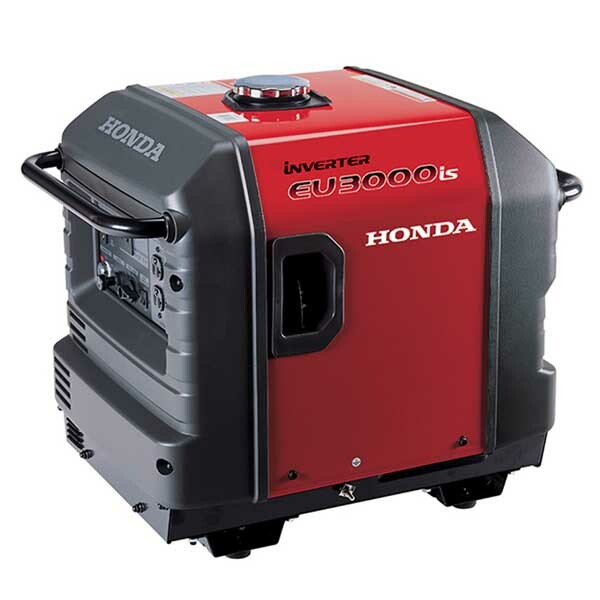 ), will provide all the comfort you need for ice fishing trips and camping adventures. 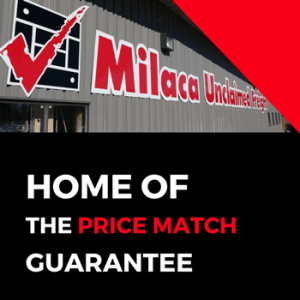 Make it yours today with our price match guarantee at Milaca Unclaimed Freight! 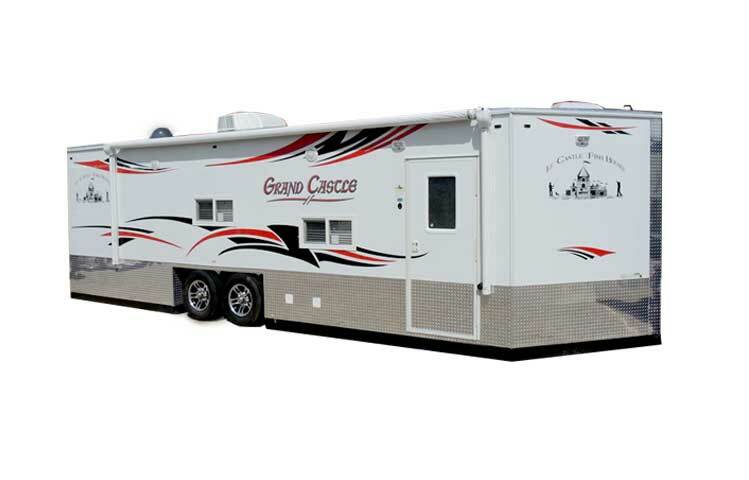 View all Ice Castle upgrades, add-on’s & standard features and make this Northland Palace RV (8′ x 24′) your very own today! 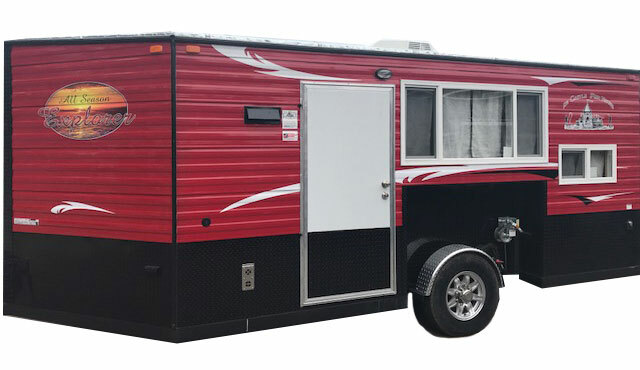 Call us at 1.888.478.3633 or use the form below.